I have a confession to make. I haven't read any of the Eloise books in their entirety. 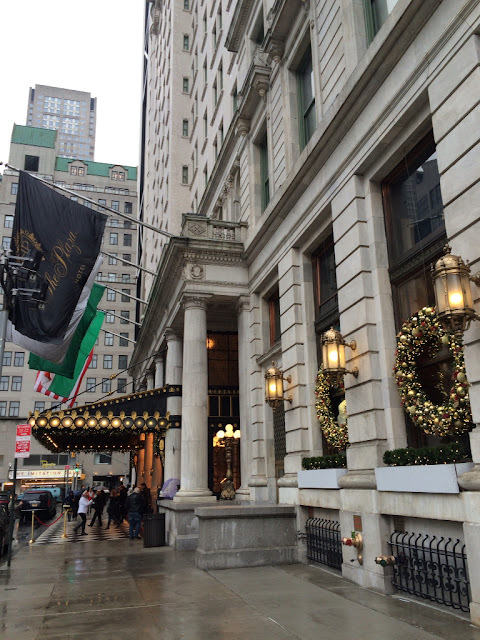 Actually, I've only read some of one of the books, Eloise in Paris, but I think I get extra credit for afternoon tea at The Plaza! 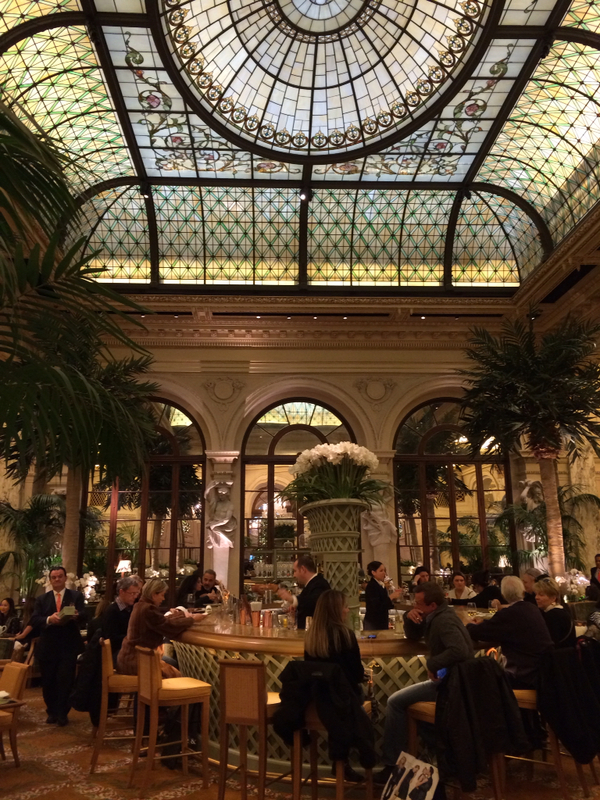 Last year, Sara, Jee, and I met at the renovated Palm Court where we each ordered the New Yorker Tea. This tea was a splurge for me at $65. I requested meatless sandwiches with the exception of the lox. The latter was served on a bagel and it was a bit of a messy presentation. The scones were served warm which is always a treat. The desserts were enjoyable too -- eclair, tarts, cheesecake, macaron, and chocolate cakes. This is a tea blog so can't forget the tea. 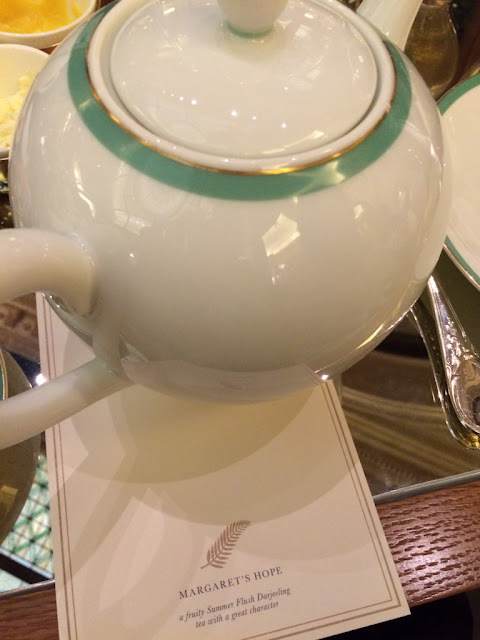 I ordered a pot of Margaret's Hope Darjeeling, a summer flush from Palais des Thes, which arrived in an elegant pot. I really liked the tasting note card which served as a coaster. This is a Darjeeling I'd buy for my tea cupboard. I had never been to the Palm Court before this visit so I don't have a point of comparison. The room seems large and airy because of the high, stained glass ceiling and mirrored walls despite the large center bar and numerous tables. The stained glass made lovely reflections in the mirrored tables. 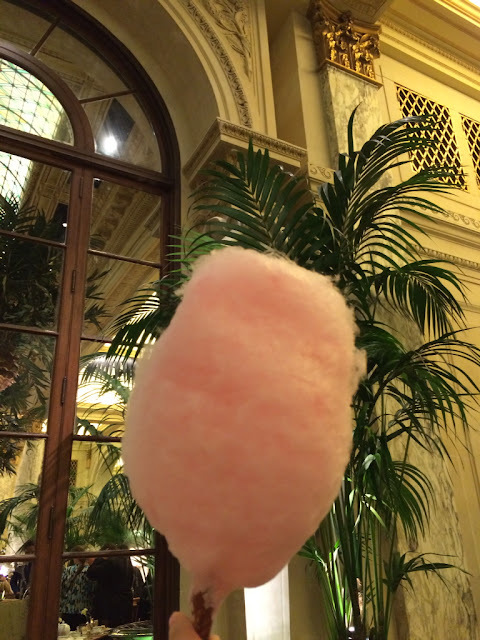 One highlight of this tea service was the arrival of Jee's pink cotton candy! 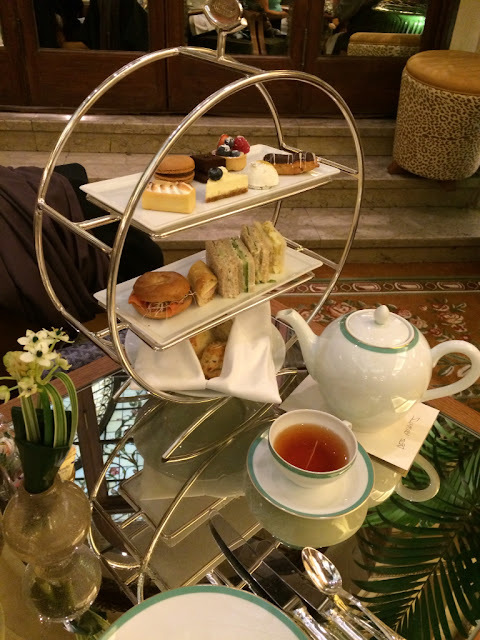 Read her review of the Palm Court afternoon tea.